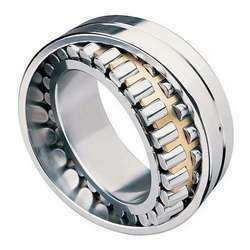 Spherical Roller Bearings from us consists of a plain bearing, with a ball pushing, inside a cylindrical housing. These cylindrical housing may have a liner manufactured from different material which minimizes friction or provides self lubrication. For different load capacity and lubrication requirement many balls or linear materials are available.